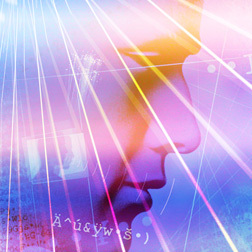 Beyond IQ: Awakening the Multiple Intelligences | Fourth Dimension Inc. This clear and pure intelligence can then become a serene thing of light… capable of all variety of understanding, supple, rich, flexible, brilliant with all the flame and various with all the colours of the manifestation of the Truth. The intelligence which is measured by IQ is only one among the many intelligences within us. In this and the next two issues we will explore the nature and development of the multiple-intelligences within our consciousness. The inner source of all knowledge is consciousness, which has many ways of “knowing” or in other words, it has many types of “intelligences”. It is now recognized that “intelligence” is much more than mere IQ. There are many “intelligences” in our consciousness and that which is measured by IQ is only one of them. The eminent psychologist Daniel Goleman has popularized the concept of emotional intelligence and later the concept of “multiple intelligences.” The latest literature on psychology talks about linguistic, logico-mathematical, spatial, bodily-kinesthetic, interpersonal, intrapersonal, and naturalistic intelligences. However the concept of emotional or multiple intelligences as conceived by Daniel Goleman or other psychologist are not the only ways of conceiving or classifying these multiple intelligences. Many such and similar conceptualizations or classifications are possible. There can be a simpler, non-jargonic classification based on the fundamental principles of the psychological constitution of the human being like for example, conceptual, pragmatic, dynamic, emotional, aesthetic, ethical and intuitive. What is the rationale behind the concept of multiple intelligences? In the conception of integral psychology, a human being is in its essence made of Consciousness, which expresses itself as the four fundamental principles which constitute the human organism: Body, Life, Mind and Soul. Since all these four principles of our ‘self’ are expressions of consciousness, each of them has its own “intelligence”, which means they are capable of “knowing”. So in this conception, knowledge is not confined to “Mind”. In a general sense, we may say Mind is the main instrument of knowledge, but the other parts of our being like the emotions of our heart, dynamic parts of our life force or even the body can also “know” in their own way and can be an important and creative source of knowledge. In this issue, we will be discussing some of these intelligences which are of practical importance to the corporate knowledge-worker. We will discuss the other facets of intelligence in our subsequent issues.